Beer? Wine? How about vodka? It’s still morning. Anyway, I prefer wine. The question did not pertain to your consumption habits. What you sense when Jean-Claude Juncker leans towards you. Juncker drinks that as well? According to my hypothesis, the scent has nothing to do with the commission president’s consumption habits, but rather his shaving habits. Hungarian politicians easily refer to Juncker as an alcoholic in background conversations, thereby explaining his often strange behavior. I think there is an entirely other cause to what undoubtedly strikes us as unusual behavior. Jean-Claude Juncker is far more accepted by the media that what we are accustomed to. The Hungarian press does not protect politicians. The Luxemburg press, on the other hand, deals better with the prime minister of a large coalition of 18 years. He is used to that. Luxemburg internal politics are much more good-humord than ours, and permits gestures to which we are unaccustomed. Isn’t it a sign of the Commission’s weightlessness, that the leader of a small country was elected to head it? Isn’t that a sign that the big European powers want a pawn? Let us clarify what the Commission’s role is. Many believe that it stands over Europe as a kind of Darth Vader waving his light saber right and left. Well, no. It has to accommodate the wishes of the European Council, made up of heads of government and heads of state, and the European parliament. The Commission is the institution that balances the other two, while Parliament continuously pushes things in the direction of federalism, the Council represents national interests. This would be the role of a weak, bureaucratic broker. At the same time Juncker makes political statements about the migration matter on the part of those who are prepared to take them in. He says: Missing from the European Union is “Europe” as well as the “Union”. The weak, the bureaucratic and the broker’s role you mention are not synonymous. The role of the broker is strong. It’s true, that in Hungary it is not customary for somebody not to act from a position of strength. At home, that is a very subtle thing. The Commission’s methods are subtle, for sure. It has only one strong tool, and that is the infringement preceding, whose scope of use is very limited. It is not certain that electing a commission president who spent eighteen years as prime minister at the head of a large coalition is a sign of being a go-between or insignificance. Rather, they were looking for a person who had a lot of experience in the use of those subtle methods that are at the Commission’s disposal. What is your role at various EC meetings? Do you defend the Hungarian point of view, say, in the case of the migration matter? In commission proceedings the verbal expressions of individual countries rarely takes place. No Most frequently we disucss Greece separately when the issue of the migration crisis came up, we discussed specific steps. At such times I try to represent those aspects for which I am a responsible commissioner—youth, culture, sports. For example, working out how it is possible to organize education in a refugee camp or prepare the educational system of member states for the challenge that comes with the refguees. The commissioners, of course, explain the internal relations of their own countries at the meetings. This is an added value. So you don’t check your nationality at the coat room? No. We have to be independent, but the independence arises from not taking orders from the government that sent us. But that does not require that we deny our nationality. You promised that, unlikes László Andor, you will inform the Hungarian government. Will you do it? I have too good a relationship with László Andor to have said such a thing. At that time, when I was a member of the Hungarian government, I really missed such notifications, but my predecessor certainly sensed how far he could go. In other words, in what matters to date have you called home and said “watch out, this and this is about to happen!”? These things belong to the world of political informalities. I do not wish to formalize them. But that means there were such cases. Every commissioner has a connection with his own government. The commissioner is also a kind of broker between the government of his country and the Commission. This is a two-way brokerage. I try to create as many personal connection points between the Hungarian government and the Commission. The Commission’s biggest problem with the Hungarian government is that it only communicates with a Commission officer if there is already a problem. It would be better if the relationship could be continuous even when there is not a conflict situation. Do you agree by the way with the Hungarian point of view? You stated this year tat multiculturalism for Europe . . . I say the same thing now. Of course, it depends on how we define multicultural. In any case, Europe, as well as Hungary, are multicultural. It was always so. For example, on my mother’s side of the family I am the grandson of Swabs. My father’s side of the family is Croatian, for which one of the liberal newspapers called me a Serb, another claimed to have discovered Jewish roots. Regardless of whether they intended to hurt or praise me: the different nationalities are on everyone’s head. They can be found in everyone’s family. If we approach this from a religious point of view, our country is not homogenous, either. Evangelists, Protestants, Cathlic, Jews. In Pécs and Eger to this day we can see the impact of Muslim culture as well. So you do not see any danger in mass immigration? The problem is that the debating parties represent extreme views. Exclusion-acceptance. Everybody come-nobody come. Such debates are never about degree, although there would be important debates. Immigration means something entirely different to somebody in Luxemburg than to us, as 45 percent of the people there are immigrants. In Eastern Europe the invasions and the failure of integration give rise to a sense of danger. Are you certain that this is only in Eastern-Europe? Several years ago Angela Merkel said that multi-culture had failed . . .
Let’s not relate the story to Angela Merkel’s statements . . . .
Alright, it’s just that it seems from what you just said that western integration is a success story. I didn’t say that, only that those living there are less alarmed by it as they live together with immigrants. Elio Di Rupo, the previous Belgian prime minister, for example, is the child of Italian economic migrants. On the other hand, for us this is a sign of danger even though we also had Bulgarian gardeners, we have far less of a tradition of immigrants. We have to state this in these discussions. We have to make it understandable as well. The problem is that when we speak of Europe, everyone is speaking about an abstraction. Or about Dystopia, depending on whether one likes what one sees or not. But Europe isn’t like that. It is not one idea. We are Europe. Our own history is the history of Europe. It’s future will be what we make of it. What should we make of it? How can it insist on such a dumb idea as the obligatory quota system? When common sense dictates that regardless of where the migrants are placed, if they do not like the place, then they leave and go over there. The proposal was supported by the majority on the Commission, the Parliament, and the Council as well, so I would not call it a dumb idea. These are experimental solutions, which obviously did not calculate with such large numbers. They calculated, for example, that the refugee wave will decrease in winter, but it does not appear to be the case. It didn’t decrease in winter last year either. Last year the Kosovars came and by the way the Hungarian prognosis was also that the momentum would subside. In any case, so far 120 people have managed to be placed within the framework of the relocation system. In order to evaluate the situation, it is necessary to examine whether it was successful. So you believe it was successful? Basically it was not successful. In any case, this is not the problem of the EU leaders. The contributions of member states is like this. Two billion euros must be collected, but so far less than one-tenth has been paid in. The Commission cannot compel the payments. If a member state does not voluntarily contribute the money in, the sources run out. There is a Hungarian politician who complains that EU politicians curse Hungary, but it is important to see that the conflict with regard to migration matters is not at all on the European level. Rather, it is a dispute between member states. 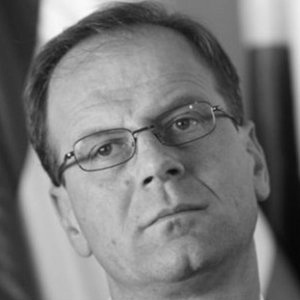 As a European Commissioner Tibor Navracsics can become popular in Europe, and at home as well. You can be the charismatic one, the European right=winger. It is as though you haven’t decided yet and are just hovering. Do you see it the same way? The way I see it is that I work. Those who have known me for a long time know that I am not the kind who builds himself up. I did not build those for myself, just as I never built anything for myself. I founded Nézőpont for Fidesz. Honestly, I was shocked when they said I had to create another institution so that Viktor Orbán could have one, as well, and not only me. And I was dumbfounded when I suddenly did not get a Nézőpont analysis on the grounds that it was not suitable for me because I would certainly want to stage a putsch against the prime minister with them. Really! Maybe what we are seeing now is not hovering, but a kind of silence while you prepare! For a putsch. Of course. I am recruiting the companies right now. I don’t know what to make of this attitude. So I am not in the habit of building for myself, perhaps this explains the feeling of hovering. But also because I am still a European party politician. I may be the last one left on the Hungarian right-wing. You get your salary from there. The conditionality is reversed. When it was necessary to designate a commissioner, by that time I was the only one left who believed in the EU, and this is how the government came to nominate me. Do you still believe in the European Union? In a European Union where there can be a dispute over whether to protect the external borders? That was not the subject of a dispute but rather whether in order to protect the common borders it was necessary to create a European border guard. That had to be put under something like the Commission. I could list five member state politicians who would immediately protest and see it as a question of sovereigty. Is Orbán one of them? I could name five. Even in my own area there is incredible sensitivity. The states do not like if one interferes in what they teach in their schools. What would happen if Brussels decided who protects our borders? Greece doesn’t even want to protect Europe’s borders, so without a military invasion it would be difficult to solve. It’s only that the European Union isn’t even able to compel member states to meet their obligation and protect the common borders. We can play this as well, but in that case we need to create a system of law enforcement on a European level that would really federalize the union. Is that what you would like? I didn’t say that. Only that today this is not the situation. The member states say there is no point to what presently exists, but they will not agree to greater centralization. My field is good because I am not a commissioner responsible over member states. I try to agree with 29 educational-cultural ministries. Due to the common market it is possible to measure infringements. With you is it possible to measure the accomplishments? That is a Hungarian thought: “They warned them, and measured the infringement, that’s an accomplishment”. It’s not for sure. I sense the results. For example, in under a year I was able to arrange for education policy, which was subordinated to employment, to be expanded into an important dimension today: the question of democratic socialization along with the importance of citizenship skills. Many say Hungary has pushed this subject aside. Through the partnership concluded with the Italian government the Italians introduced it. I think that was a success. As a Hungarian which attitude is better? What is the soft role like? It is more suited to my habits, but it’s a fact that in comparison to Hungarian politics the difference is huge. I came from a centralized political culture, in which even in the case of a coalition government the prime minister played a key role. One party with a two-thirds majority. If he is also the party chairman, then everything is concentrated with him. Politics and government procedures as ell. From this I came to find myself in an environment to which 28 commissioners bring their own decision making culture, plus the 29th one, which forms the frameworks and forms the cabinets. This is the most painful thing for those seeking me out. That I do not have a single Eurocent at my disposal. There is no ministerial financial framework. A Swede would certainly die in the Hungarian situation, but a Hungarian would also feel very uncomfortable in the Swedish decision making culture. I know that they are in the habit of mentioning corruption and openly, but if we look at the refugee matter, for example, we see that Sweden is experiences serious atrocities against the migrants. So their culture has its downsides, too. The Americans often mention corruption in connection with Hungary. As a commissioner who do you relate to when the USA tells a member state how to behave? As a commissioner I am not affected. As a minister at the time, I dealt with these in relationship to the media law and the constitution, and I especially had an opportunity to debate matters with Viviane Reding when she was a commissioner. Reding made political assessments, but the Commission had a different interpretation, precisely because of the negative experience. Frans Timmermans often stated that he was only willing to deal with the matters of a member state on the basis of facts. Of course, there are infringement proceedings that could be called political, such as the one against the Czech Republic that is underway in the case of discrimination against Roma. For the time being there is no such preceding against Hungary. Not even one being prepared? An agreement preceding has started in connection with the changes to the laws brought on by the migrant crisis. After that I don’t know when they will run out. Where could they? Why is it necessary to tell a Hungarian citizen that he should provide an interpreter to the wave of migrants? The European developments are one of the basis elements of the safeguarding of human rights. It is necessary to provide an interpreter for court proceedings. There is no point arguing this point. In any event, it became clear in the migrant question that we had reached a level from which we could step forward either with a more an better organized Europe which involves surrendering more sovereignty on the part of the member state. Both Hungarian points of view have been unveiled. “Europe should not interfere. The situation would have long been solved, if the question had belonged to the jurisdiction of nationalities—that was the point of view. Then the Hungarian government recommend a communal European defense for the Greek border. That was at least good news since regardless of what decision was born, it was certain to be acceptable to the Hungarian point of view”. The government changed its point of view. That’s all that happened, right? The two statements took place at different points in time, but conceptionally neither one realigned the other one. It’s true that they didn’t say, sorry, but we made a mistake. This is true. That’s right. So we can say that the two worked in parallel. Now in any case we have come to a fork in the road, to quote a classic. We cannot continue in this way. We have to decide. How a crisis of a political character comes about, which requires a political answer. Towards integration, if the member states also want that. At the same time, it does not belong to the EC’s jurisdiction. If there is no integration, then will it fall apart? Not necessarily. The EU is very interesting. An asymmetrical federalism already exists today. The legal system is federal, given the European laws have priority. That is characteristic of federalism. It is just that here are memberships of different degree. EU, Schengen, Eurozone. Luxembourg is a member of all three. Hungary, two. Romania, one. If we are not going in the direction of federalism, but in the direction of nation-states, it is not certain that the whole thing will fall apart. Is Orbán better appreciated on a European level or is this just something served up at home? Clearly he is better appreciated. He came out of that box in which it was easy to put him before. “Only one of the anti-EU populists, it is not necessary to deal with him”. Today it is obvious that this is not the situation. He has become a interlocutor who at times is right. This even happened. The shifting of emphasis from the quota to rather the defense of the external borders in the communication of the Commission and the member states is clearly a sign of this. EU, Navracsics Tibor, Stumpf András, interview, opinion, European Union, European Comission, refugees, migrants, multiculturalism, migrant crisis.